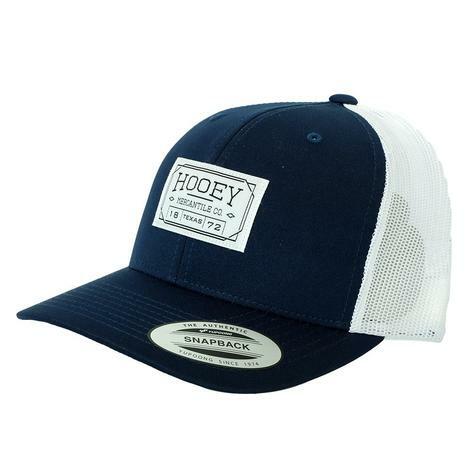 This Hooey Original Cap has classic style and comfort. 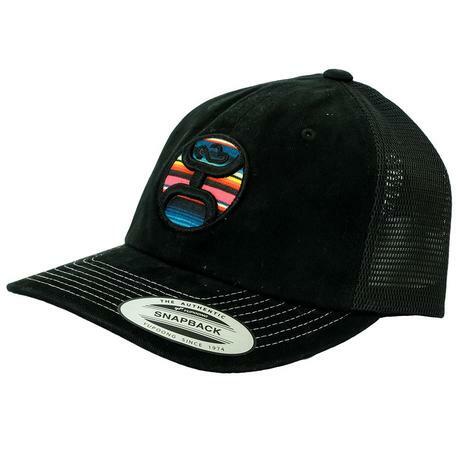 Featuring a black Hooey logo in the center and a black mesh back, this cap will compliment any classic jeans and t-shirt look. Whether you’re working hard on the ranch or out on the town, this hat will keep you cool and looking sharp. Whether you're in the pen or on the town Hooey hats will always have your back. 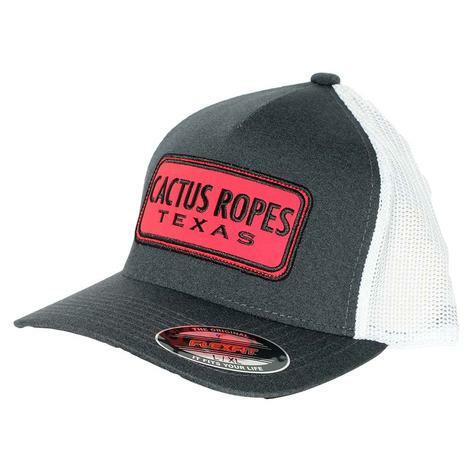 This Hooey hat has a grey front with a white and red Cactus Ropes patch and a grey mesh back with a snap back. Made for all day comfort. Whether you're in the pin or on the town Hooey hats will always have your back. 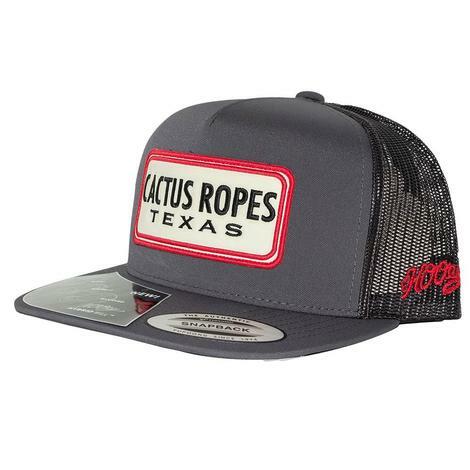 This Hooey hat has a grey front with a red Cactus Ropes patch and a white mesh back with a snap back. Made for all day comfort. 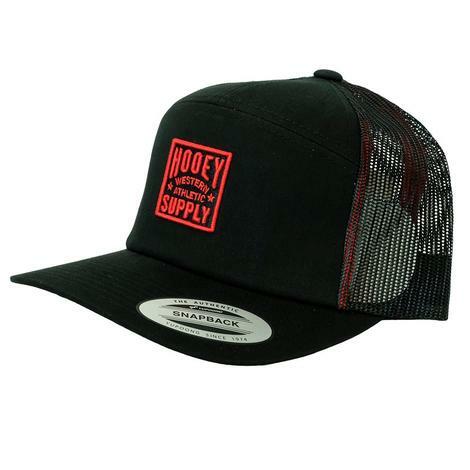 This Hooey Original Cap has classic style and comfort. 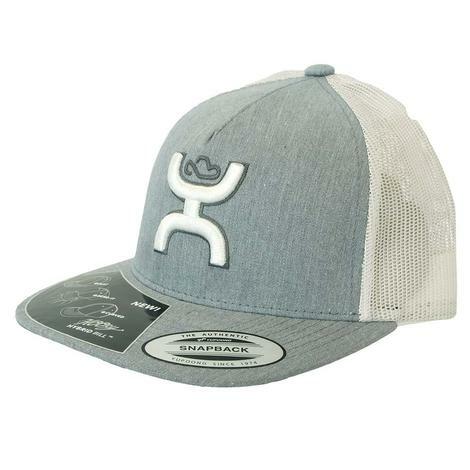 Featuring a grey Hooey logo in the center and a grey mesh back, this cap will compliment any classic jeans and t-shirt look. Whether you’re working hard on the ranch or out on the town, this hat will keep you cool and looking sharp. Hooey's Men's Jet Flexfit Cap is a classic six-panel design for a look that's always appealing. Flexfit construction provides a bit of stretch for a secure, pinch-free fit. 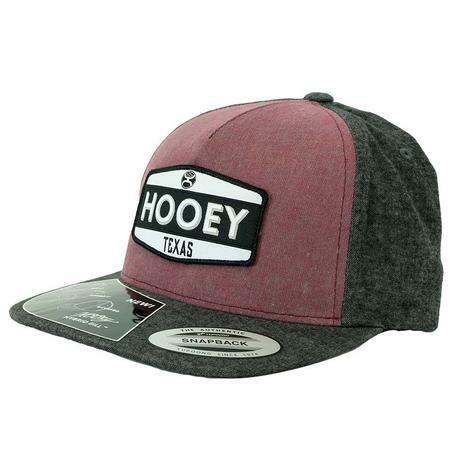 Coming in with the clean Maroon with a Black Hooey logo. Whether you're in the pen or on the town, Hooey hats will always have your back. 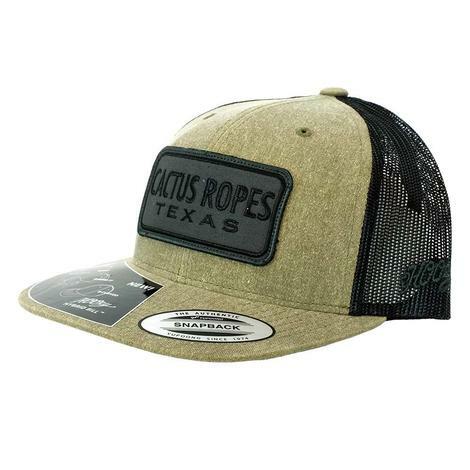 This Hooey hat has a green front with a tan Cactus Ropes patch and a grey mesh back with a snap back. Made for all day comfort. Whether you're in the pin or on the town Hooey hats will always have your back. 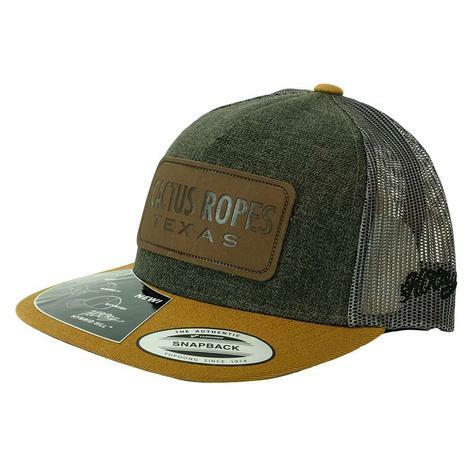 This Hooey hat has a tan front with a black Cactus Ropes patch and a black mesh back with a snap back. Made for all day comfort. 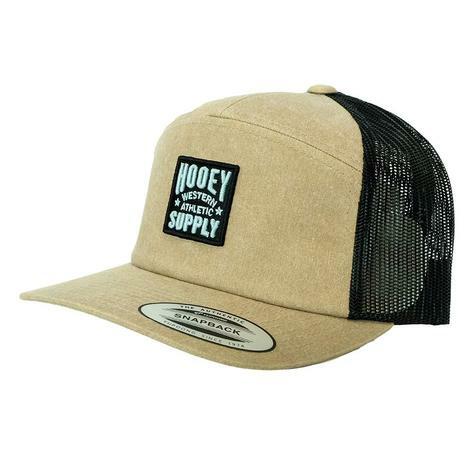 This Hooey cap has a tan front along with a black HOoey Supply patch and a black mesh back. Adjustable snap back closure for a perfect fit every time. This cap has a black front and a black mesh back. featuring a serape circle Hooey logo. Adjustable snap back closure for a perfect fit every time. 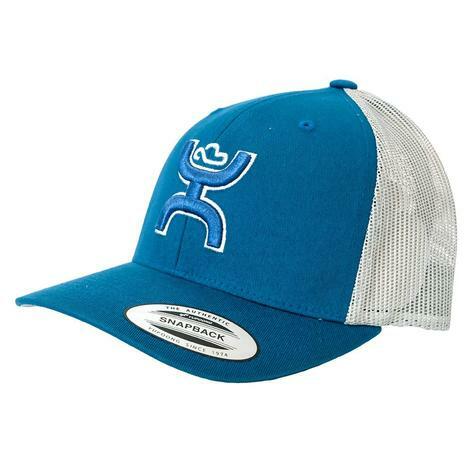 This Hooey cap has a blue front as well as a white Hooey Mercantile Co. patch and a white mesh back. Adjustable snap back closure for a perfect fit every time. 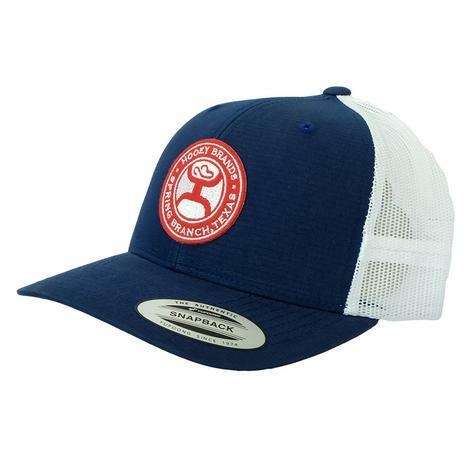 This cap has a red front with a white embroidered Hooey logo, blue bill, and a white mesh back. Adjustable snap back closure for a perfect fit every time. Whether you're in the pin or on the town Hooey hats will always have your back. 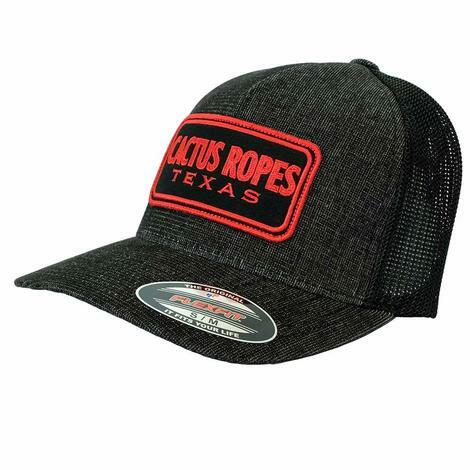 This Hooey hat has a grey front with a black Cactus Ropes patch and a black mesh back with a snap back. Made for all day comfort. Whether you're in the pen or on the town Hooey hats will always have your back. 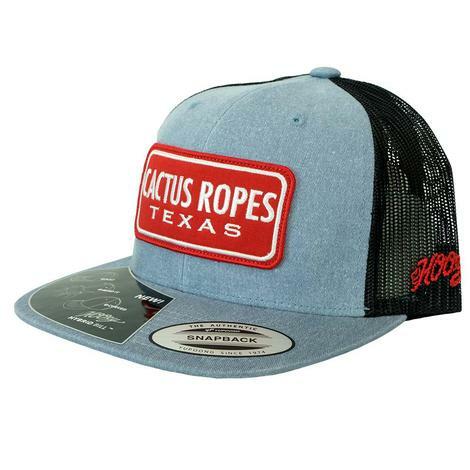 This Hooey hat has a blue front with a red Cactus Ropes patch and a black mesh back with a snap back. Made for all day comfort. Whether you're in the pin or on the town HOOey caps will have your back. 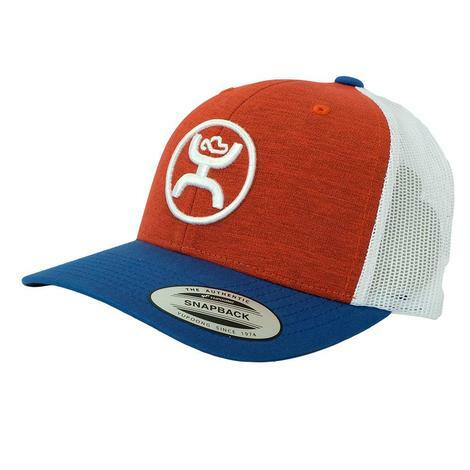 This cap features a Bronc patch center front in Red, White, and Blue. It has a black front, bill, and mesh back with an adjustable snap back. 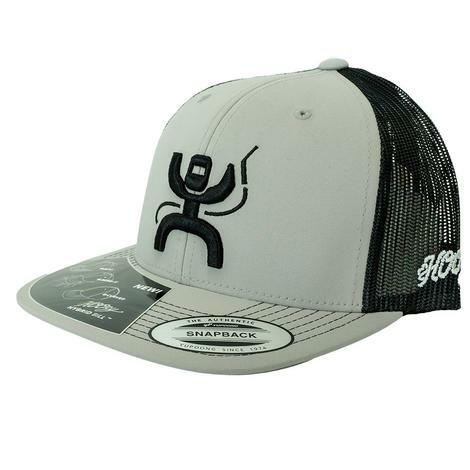 This Hooey Cruise cap has a grey front along with a grey and white embroidered Hooey logo and a white mesh back. The adjustable snap back closure means a perfect fit every time. 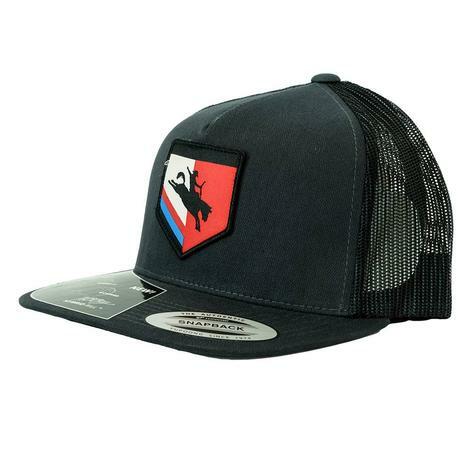 Hooey's black and red square patch hat has a black front and a black mesh back. With an adjustable snap back closure you will have a perfect fit every time. 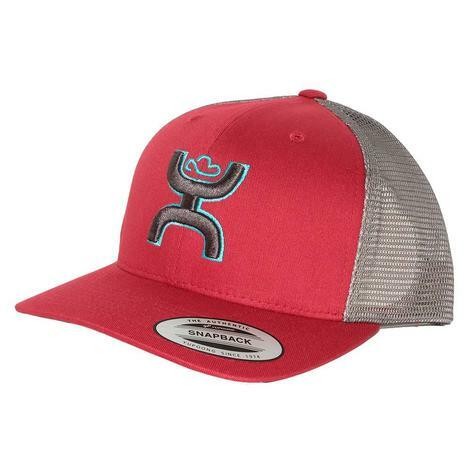 Hooey's El Camino cap has a blue front with a red and white embroidered Hooey Brands patch and a white mesh back. With an adjustable snap back closure for a perfect fit every time. 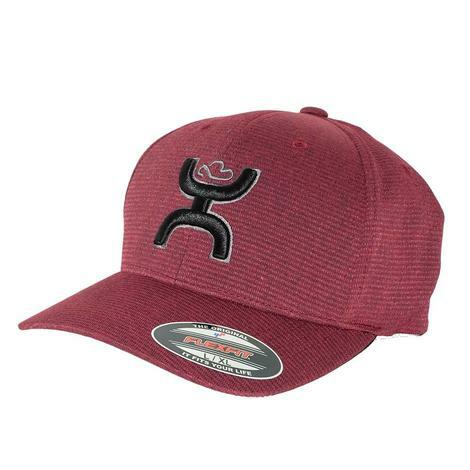 The Hooey Texas black and white embroidered patch cap has a maroon front and a black back. This hat has a hybrid bill so you can wear it flat or curved as well as an adjustable snap back closure for that perfect fit. This cap has a blue front and a white mesh back. Adjustable snap back closure for a perfect fit every time. HOOey makes modern rodeo apparel for the modern cowboy. 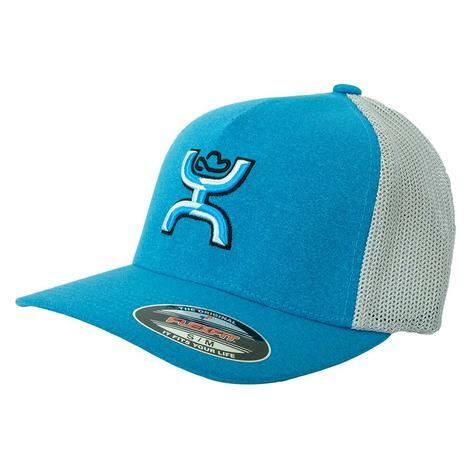 Get your HOOey on with HOOey sports apparel.